Hi there. Welcome to the day 20 of my ’30 days 30 post’ challenge, where I am writing one blog post daily for the 30 consecutive days. Several of my blog readers have requested me to write an analysis on the real companies using the using different financial tools. 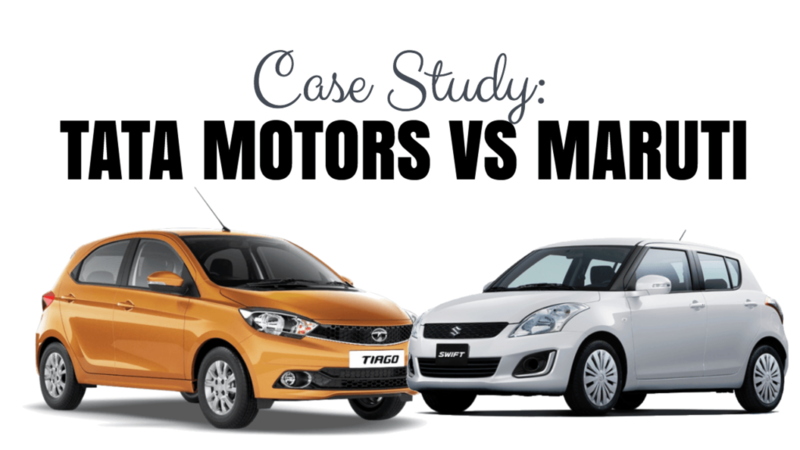 That’s why in this post I’ve decided to write a case study on Tata Motors vs Maruti Suzuki. I have chosen these big and well-known companies to show how the performance of the companies are reflected in their respective share prices. Overall, it’s going to be a very interesting post and there are many key takeaways that you can learn from this case study. Tata Motors is a big multinational automobile company in India. We all have grown up seeing Tata Motors automobiles in our lives. It was originally founded in 1945 and currently, it’s headquartered in Mumbai. Tata Motors has a diversified portfolio in both commercial and passenger vehicles. Its products include passenger cars, trucks, vans, coaches, buses, sports cars, construction equipment and military vehicles. It has auto manufacturing and assembly plants in Jamshedpur, Pantnagar, Lucknow, Sanand, Dharwad, and Pune in India, as well as in Argentina, South Africa, Great Britain and Thailand. Overall, Tata motors is a big brand in India with a widely diversified product. So, does this makes tata motors a good investment option? Before deciding anything, let’s first look at a few of the key financials of Tata Motors. Here’s a quick snapshot of the critical financial ratios of Tata Motors for the last 5 years. Damn, the financials of Tata Motors doesn’t looks good!! Quick note: If you are not familiar with the terms mentioned in the above table, here’s a detailed explanation regarding the important financial ratios. From the above table, you can notice that the Return on equity (ROE) of Tata Motors has been continuously declining for the last 5 years. Further, the earnings per share are also degrading for the same period. It went down from an EPS of 35.6 in 2013 to 26.2 in 2017. On the other hand, if you look at the debt/equity ratio, you can find that it’s also fluctuating a lot. As a thumb rule, you should always invest in companies with a debt/equity ratio lower than 0.5 (the best scenario is when the company is debt free). However, for the case of Tata Motors, its debts are equity to quite high. Moving on, if you look at the net profit margin, here again, you can notice a declining trend. The profit margin of Tata Motors has reduced from 5.2% in 2013 to 2.8 percent in 2017. This clearly is in sync with the declining market share of Tata Motors in the automobile industries. Once, Tata used to be a market leader in the commercial vehicle segment with over 60% customer share. However, these days there are a lot of competitors of Tatas and hence it has lost its monopoly and the profit margin along with it. The competitive position of Tata Motors is a little complex to access because it works in both commercial and passenger vehicle segment. 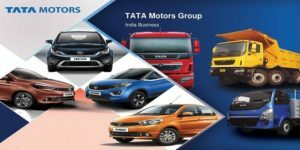 In the commercial vehicle segment, the key competitors of Tata motors are Ashok Leyland, Bharat Benz, Mahindra and Mahindra, Eicher Motors etc. In the passenger vehicle segments, the key competitors are Maruti Suzuki, Hyundai, Honda, Renault etc. If we look from the broader aspect, the Tata Group is doing really good with their prime companies like TCS, Tata Steel, Tata Chemicals, Titan, Tata tea, etc. However, the things are not similar in the case of Tata Motors. Tata Sons Chairman, N Chandrasekaran has been trying to improve the profitability of the company with the help of its MD Guenter Butschek, however, the changes are not reflecting in the financials. Although Tata Group has been a pioneer in the growing development of India and they have contributed a lot to India’s economy. However, just having a brand name is not enough to survive (and remain profitable) in this competitive business world. The next company in this case study is Maruti Suzuki. Maruti Suzuki is a leading automobile company in India. The company is headquartered at New Delhi. It is a 56.21% owned subsidiary of the Japanese car and motorcycle manufacturer Suzuki Motor. As of January 2017, it had a market share of 51% of the Indian passenger car market. Few of the popular products of Maruti Suzuki in India are Ciaz, Ertiga, Wagon R, Alto, Swift, Celerio, Swift Dzire, Baleno and Baleno RS, Omni, Alto 800, Eeco, Ignis etc. Alto and Swift have been consistently ranked as the top-best selling cars in their respective segment (hatchback). 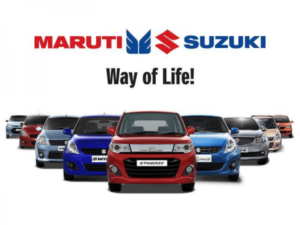 In the last few decades, Maruti has built an amazing brand value in the automobile industry by providing best-affordable products and amazing customer service. Now, let’s have a look at the financials of Maruti Suzuki for the last 5 years. What!!! The difference in the financials of Tata Motors and Maruti Suzuki is like night and day. From the above table, you can notice that how Maruti Suzuki has consistently given excellent performance. For the last 5 years, the return on equity (ROE) of Maruti has been continuously increasing. And in the same period, it’s earning per share (EPS) has increased over 3 times. That’s a real healthy sign of a fundamentally strong company. Another, magnificent point regarding Maruti Suzuki company is that it’s totally debt free. The debt to equity ratio of Maruti is zero for the last five years. Next, if you look at the profit margin, its also consistently increasing. From 5.6% in 2003, it has increased to 11% in 2017. This is a pre-eminent profit margin for the companies in the automobile industries. Lastly, if you look at the book value per share, it’s also showing a healthy growth sign. Maruti’s book value per share has doubled in the last 5 years (from 629.9 in 2013 to over 1227.3 in 2017). Overall, Maruti Suzuki has performed exceptionally well in this last five years. In this post, we looked at two big companies with amazing products and a big brand name. 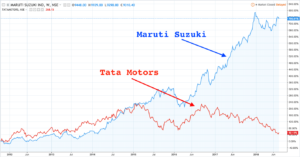 However, from our analysis, it is clear that Maruti Suzuki fulfills the criteria of a wonderful company to invest while Tata Motors clearly not. According to the principles of value investing, the stock price should eventually reflect the performance of the underlying company. As 5 years is a sufficiently long time for this effect to apply, let us look at the price performance of both these companies over the last five years. The above graph exactly shows what is expected. Maruti Suzuki has performed well better compared to the Tata Motors over the past 5 years. Maruti has increased the share price over 7-fold in this time frame. Whereas, the stock of Tata Motors is trading at a loss of around 10% compared to what it was trading 5 years ago. 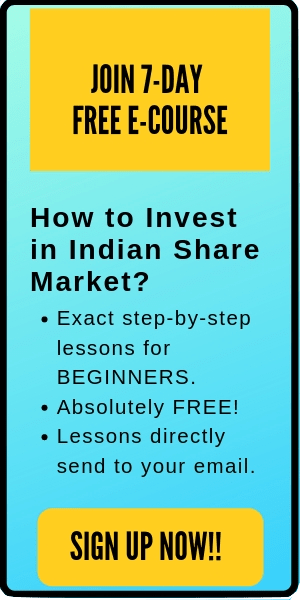 Quick Note: If you are new to stock market and want to learn stock market investing from scratch, feel free to check out my online course here. From the above case study, you can learn that it’s not a rocket science to analyze stocks. Selecting a winning stock is not a gambling. 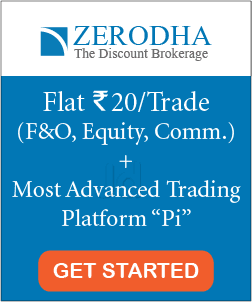 The returns from the stocks are in line with the performance of the underlying company. If you treat stock as a company and perform a smart analysis before investing, then I assure that the results will largely be amazing. Value investors simply win over the long time frame. That’s all for this post. I hope it was useful to you. Happy Investing.